GONE are the days for Negrosanons to be over dependent on sugar. 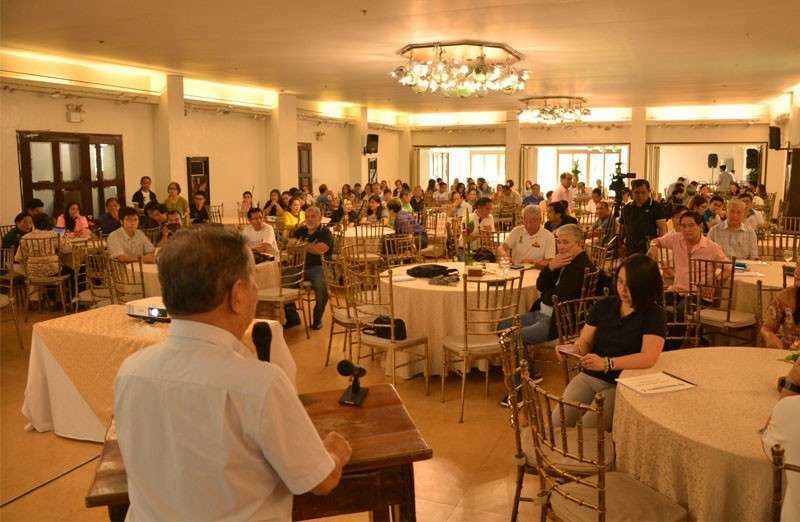 This was stressed on Thursday, January 31, by former Negros Occidental Governor Rafael Coscolluela during the Negros First Transformative Agriculture Summit at Nature's Village Resort in Talisay City. The event was led by Governor Alfredo Marañon Jr.
“Because of the threat of sugar liberalization, the sugar industry panics...once the doors are open and we will import significant volume of sugar, the sugar industry, and its stakeholders would be affected,” said Coscolluela, former administrator of Sugar Regulatory Administration (SRA). “The immediate effect is the drop in prices and many would complain because many would be affected especially the small farmers,” he said. With this development, the provincial government is now formulating its own commodity development plans, where its available products have a comparative and competitive advantage, he said. Coscolluela, who is the provincial consultant on investment promotions, trade and export development, and inter-agency coordination, briefed on Thursday the participants of the summit, in line with the Negros First Pro-Agri Development Program. He said there are other agri-commodities in the province, which have lots of potentials. “If we will not explore now all other opportunities, the other countries around us, including Vietnam, Taiwan, Thailand, Malaysia, are not sitting still. They are all becoming aggressive and seeing the same opportunities,” he said. Of the 526,838 agricultural land area of Negros Occidental, 55 percent, which is 189,836 hectares, is devoted on sugarcane, while the remaining land area has been planted with coconuts, corn, rice, fruits, vegetables, and fishponds, he said. “The sad thing is, we are importing a lot of food items, even tropical fruits, and rice, among many others, despite so many resources, such as the land, water, climate, talent, and capital,” he added. Coscolluela is batting for the reduction of sugarcane area and diversify on other products. Coscolluela also noted that agriculture remains to be the slowest growing sector in the Philippine economy. In his talk, Coscolluela said that the province remains to be a dominant sugar industry with milling overcapacity and threatened by competition, such as by alternative sweeteners, import liberalization, health issues, labor shortage, and high costs. He also noted a surplus of pork, carabeef, chevon, poultry bananas production, and deficit in eggs, beef, fruits and vegetable, a surplus on renewable energy, dependence on imports of rice, corn, feeds. The potential of commercial crops, such as coffee, cacao, bananas, pineapple, coconut and specialty crops like malunggay, herbs and spices are underexploited, Coscolluela also said. While Agriculture Secretary Emmanuel Piñol is doing his best to push for the agriculture programs in the national and regional levels, Coscolluela said he wants to see a program precisely and specifically for Negros, for farmers and fishermen to produce and make a profit out it. “What we would like to see is that it will be organized in a logical market smart manner, so we can compete with our neighbors,” he stressed. Let’s do it in an organized logical market smart way, he added. For his part, SRA administrator Hermenegildo Serafica said that the sugar industry will have one voice on the issue on liberalization. Serafica said that on February 11 to 12, they will hold a Sugar Industry Roadmap Summit which will be spearheaded by the Department of Agriculture and the SRA at the Department of Agriculture. During the summit, all concerns of the sugar industry including those that were taken up during the sugar summit in 2017 which were not acted on will be tackled, he said. He said that they came up with the decision to have a Sugar Industry Roadmap Summit in a special board meeting on Wednesday, January 30 which was presided by Piñol. “We made two resolutions. The first one is reiterating the mandate of the SRA under Executive Order 18 and the last paragraph of the resolution, we emphasized before all these issues will happen there has to be an intensive, exhaustive stakeholders consultation. We cannot hasten these things because there are so many things that have to be considered,” he pointed out. Serafica also said that the statement of Budget Secretary Benjamin Diokno pushing for the sugar liberalization was just his personal opinion and there is no policy yet. “We also collectively and unanimously made a resolution to have, through the Department of Agriculture and SRA, the Sugarcane Industry Roadmap Summit which will be held on February 11 and 12 at the compound of the Department of Agriculture. So all stakeholders that are involved in the sugar industry will be invited for the whole industry to have a common position which will be submitted to the President,” he said. He said that while there are leaders in the sugar industry that will lobby to the President not to approve the deregulation of sugar, they will also submit a complete report to Duterte with data and figures how the sugar industry contributes to the economy of the country. The sugar industry, he said, contributes P96 billion a year in the country's economy.